Sarah McCully is a Superoo who lives in the Pacific-Northwest with her husband, 5-year-old daredevil, dog, fish, and chickens. When she isn’t keeping up with her boys or animals, Sarah is exploring Oregon and Washington, and writing her camping with kids’ blog, Have Kid-Will Teardrop. My husband travels a lot for work. Every so often, we like to escape the big city and go some place smaller and quieter—a place we can explore! Astoria, Oregon has been home to numerous explorers, although none more famous than Lewis and Clark and Corps of Discovery, and my personal favorites, The Goonies. 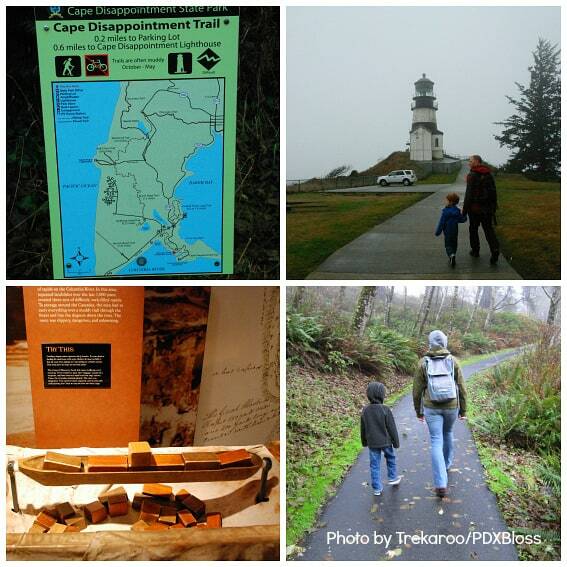 Cape Disappointment State Park is across the Astoria-Megler Bridge (the longest truss-bridge in America) in Washington. 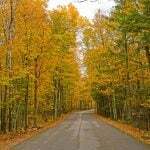 The area is rich with history and teaming with wildlife. There are also 2 lighthouses at the park. The North Head Lighthouse, which is open to the public (and folks 7 years and older can climb to the top) and Cape Disappointment Lighthouse, which is a nice walk from the Lewis and Clark Interpretive Center. We made the hike to the Cape Disappointment Lighthouse, which gives amazing views of the mouth of the Columbia and the churning sea at the base of its cliff. Before we made the trek to the Lighthouse, we stopped in and had a wander at Battery Harvey Allen and the Lewis and Clark Interpretive Center. Battery Harvey Allen, along with the Batteries at Fort Stevens State Park and Fort Columbia, protected the mouth of the Columbia River from the start of the Civil War, all the way through WWII. Now, decommissioned, you can explore the battery and stand where the massive guns once were. The Interpretive Center provides a great explanation of the Corps of Discovery’s journey across the US in search of the Pacific Ocean. They explain how they managed, who they relied on, what difficulties they faced, what discoveries they made, and where they camped. After spending time in the area of Cape Disappointment, they eventually decided to cross the Columbia River and set up a winter camp at Fort Clatsop, on the Oregon side. Our son really enjoyed the hands-on activities that were sprinkled throughout the exhibit, from loading a model dug-out canoe to “firing” a flintlock gun (it just clicks so no fear!). You can cast your vote at the end of the exhibit, and let folks know where you would have wanted to set up camp for the winter based on your discoveries! There have been hundreds of movies filmed in Oregon. Some of the more famous are Short Circuit, Kindergarten Cop, The Shining, and one of my favorites, The Goonies. In fact, the Oregon Film Museum building is famous in its own right. It was the jail that held Jake Fratelli before his family broke him out in one of the opening scenes of The Goonies. 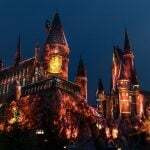 The museum pays homage to that movie and all of the others, and gives an inside look at how movies are made. As my 5-year-old hasn’t seen any of these movies yet, he found the ‘Hot Set’ and ‘Post-Production’ galleries especially cool. He was able to film his own scenes, see how they turned out, and do a little editing! Across the street is the Flavel House, which is where Mikey’s dad worked in The Goonies (remember the scene with him raising the flag as the kids rode by on their bikes? ), and the Astoria Column is just a few minutes up the hill as well. 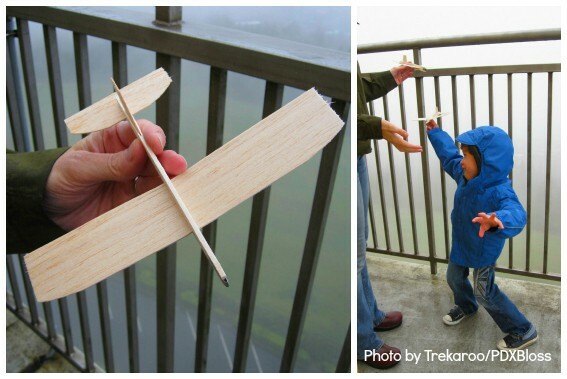 The Column provides the best views (after you climb 164 steps) and you can toss the biodegradable gliders from the top. It was a highlight for our son, for sure! 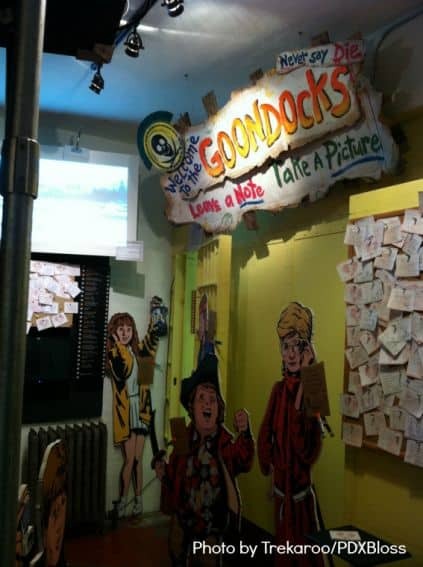 If you have an extra 10 minutes, go check out The Goonie’s House at 368 38th St. 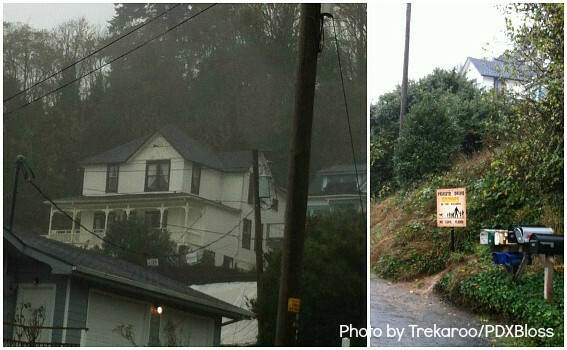 The sign at the end of the driveway asks ‘Goonies on Foot’ to come on up, but to leave your car on the main road. Walk up, get your picture taken as you Truffle Shuffle, and enjoy the view! It would have been nice to have had more than an hour to tour the galleries of the Columbia River Maritime Museum, but we got there at 4:00pm and it closes at 5:00pm. We hurried through the well laid-out museum and found lots of interesting things to explore. The main focus of the museum is the Columbia Bar, which makes for a perilous journey from the Pacific Ocean into the Columbia River (and vice versa), not only for small boats, but also for Cargo ships. That area has been known as the “Graveyard of the Pacific” for the number of ships sunk (over 2000) and the souls lost (more than 400). You learn about both the Bar and River pilots who keep ships safe and the Coast Guard who keep people safe. There are a few interactive sections that our son found interesting. His favorite had to be the tugboat he pretended to drive! 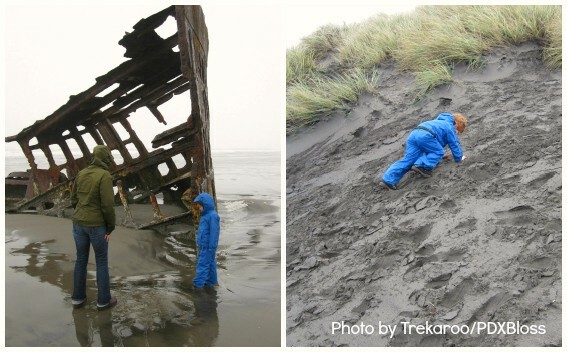 After spending time at the Columbia River Maritime Museum, go see a real life shipwreck! Fort Stevens State Park is home to one of the most photographed shipwrecks in the world, The Peter Iredale. After running aground in 1906, and after all efforts were exhausted to right the ship and get her back to sea, she was sold for scrap. What now remains is a portion of her iron hull and sections of her 4 masts. This shipwreck ultimately lead to the demise of the company who owned her, but really brings to life how the sea gives and takes. The beach the shipwreck sits on is a really lovely stretch of sand, and has some smaller dunes our guy loved playing on, despite it being one of the wettest days we have spent on the beach in a long time. Bring your waterproofs and have at it! Other kids joined in the fun too. 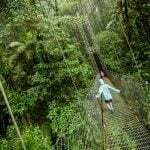 Other than shipwrecks and beach play, the park offers lots of hiking and biking as well as The Fort Stevens Historic Area. Fort Clatsop was the winter camp of Lewis and Clark and the Corps of Discovery from December 1805 to March 1806. A replica of the original Fort has been built and you can wander around it and have a look at how they lived for that winter. 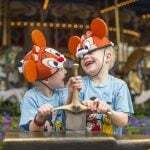 Fort Clatsop was named after the Native Americans Lewis and Clark befriended in the area. There is an Interpretive Center that older kids were really enjoying, but it wasn’t holding our 5-year-old’s interest. 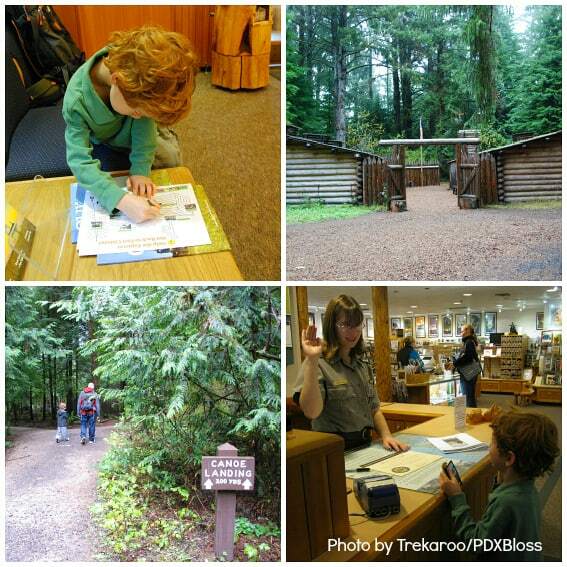 Our guy’s favorite thing was working on his Junior Ranger badge and exploring Fort Clatsop. When you come in into the Visitor’s Center, have your kids pick up their free Junior Ranger packets while you pay your park fee, then head outside and start your work. The packet focuses on one of Clark’s jobs—cataloging plants and wildlife. Once they complete the number of activities required (one activity per year of the child), they get to turn it in and be sworn in as a Junior Ranger! 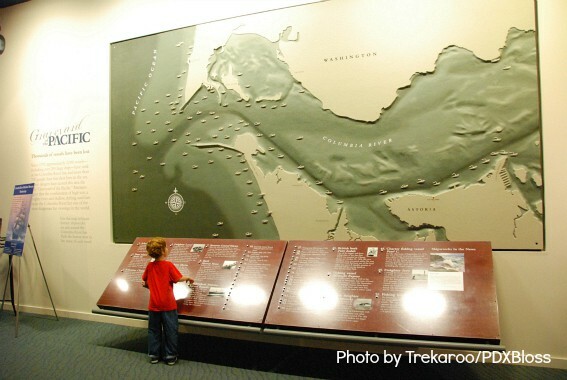 If you visit three locations in the relatively new Lewis and Clark National Historical Park, your child will earn a second badge—the President’s Badge! Fort Clatsop hosts different live Ranger programs in the peak seasons, where Rangers walk around in buckskins and show how flintlock guns were shot and candles were made, while answering visitors questions. This park is also along the Fort to Sea Trail, which was originally blazed by the Corps of Discovery so they could hunt, gather, and trade with the neighboring Tillamook, Chinook, and Clatsop Indians. This trail is 6.5 miles, so for bigger kids it is manageable. The younger set will enjoy the half mile loop around the Fort. 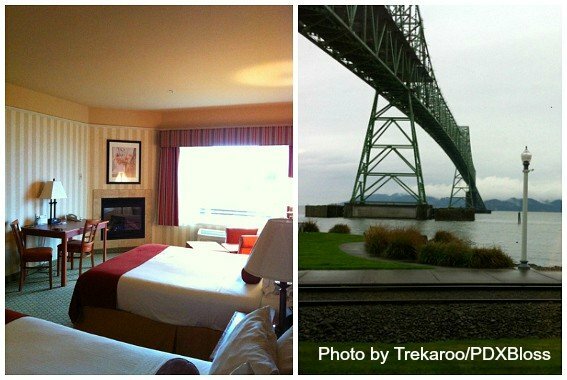 While we were in Astoria, we stayed at 2 different hotels. Both were great for different reasons. The Holiday Inn Express & Suites Astoria is a half mile from EVERYTHING downtown. You can walk or borrow a bike from the hotel and go see loads of great stuff! It is also right on the Trolley line and the Riverwalk. The hotel has a small gift shop, board games in the lobby to borrow, and a video game room. We appreciated the warm welcome and helpfulness of the staff—the cookies at check-in were a bit hit! 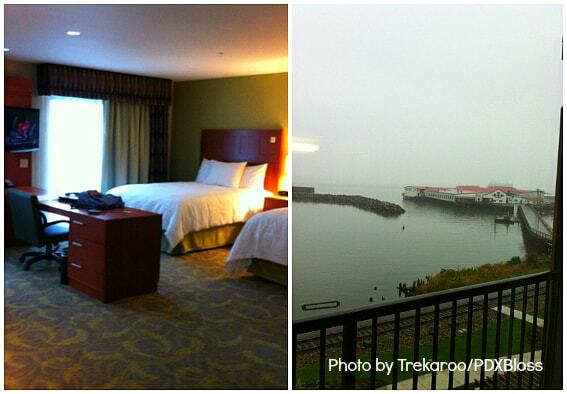 Below is a photo of our room and the amazing view. The other hotel we stayed at was the Hampton Inn & Suites Astoria, which was on the west side of town and further from downtown, but the rooms were big and beautiful. Though our room had a sizable kitchenette with a fridge, coffee maker, and sink, we enjoyed the complimentary continental breakfast. Hot items such as scrambled eggs and even biscuits and gravy were on offer in addition to the usual cereal, yogurt and bagels. We also had time to enjoy the swimming pool. 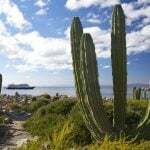 Both hotels offer river views, and each offer slightly different experiences. *Disclaimer: The author received complimentary lodging and tickets for review purposes. All opinions are her own.